The runner-up in the competition to design the building has alleged that the winning entry is plagiarised and violates the brief. 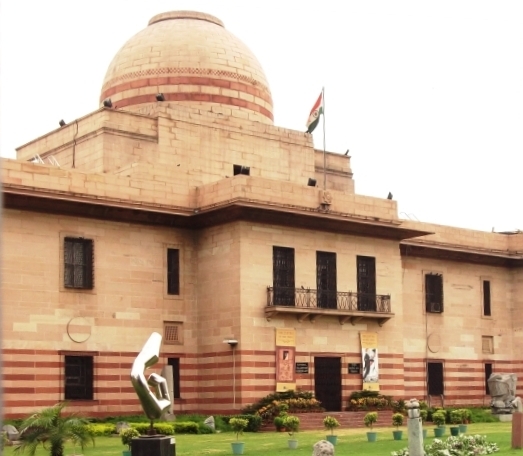 An unseemly battle is underway over the design for the proposed National War Museum in Delhi. As a consequence, construction has been delayed. In 2016, the defence ministry held two competitions for architects to design a National War Memorial and a National War Museum, both proposed to be erected near India Gate. The top three designs would fetch cash prizes ranging from $75,000 to $25,000, with the winning firm expected to oversee the construction. The winners were announced in March 2017. But while the memorial is already being built, the museum has fallen prey to controversy. 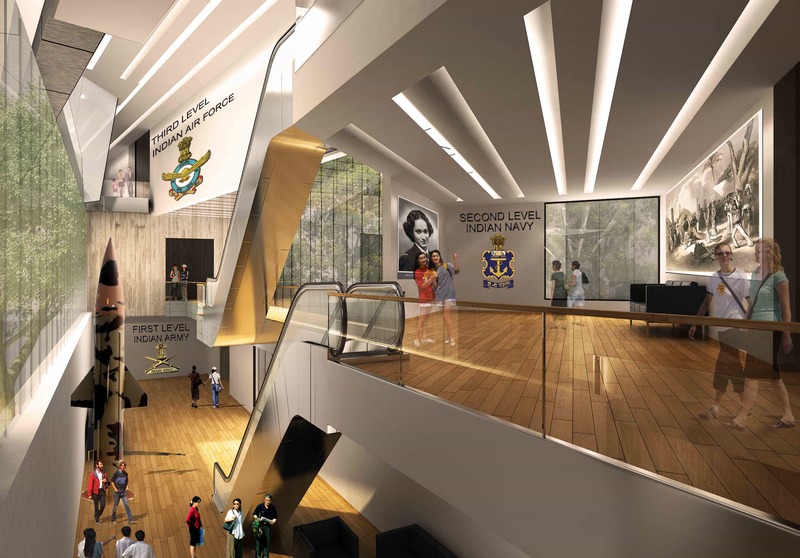 Several government agencies have objected to the winning design and a series of complaints have compelled the defence ministry to set up an empowered committee to review “all issues” related to the museum and the design competition. The matter has even reached Delhi’s Patiala Court, where the winning architectural firm has sued the first runner-up for defamation. Muddying the waters further, the chairman of the jury that judged the competition, actor and filmmaker Amol Palekar, has accused the first runner-up of “unethical lobbying” to change the result. 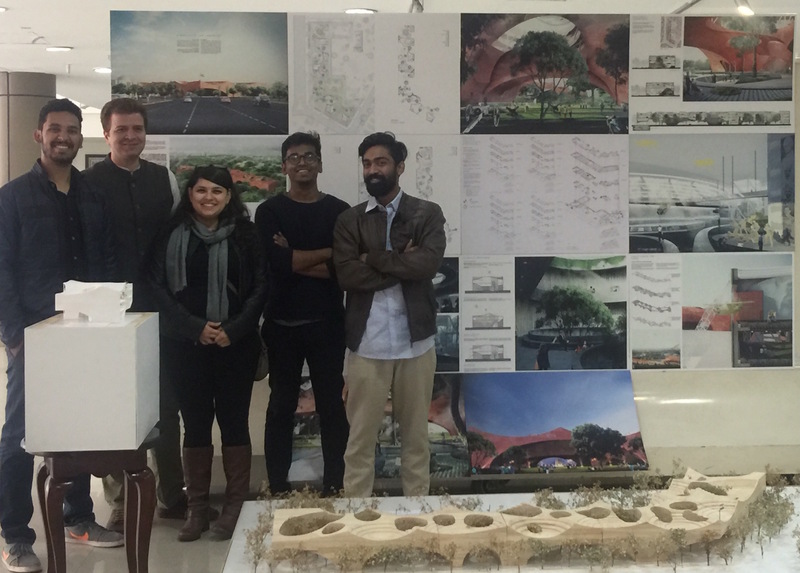 The winning design was submitted by Studio sP+a, a firm in Mumbai headed by the architect Sameep Padora, while Aakaar Design came second. 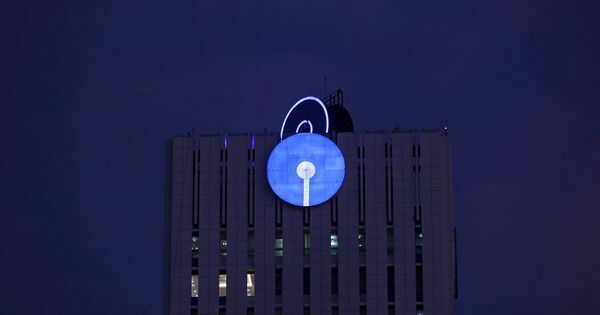 Not satisfied with the result, Aakaar Design, based in Gurgaon, made several complaints against Studio sP+a, starting with letters to the jury on April 12 alleging that its rival had copied the plans from a Japanese firm and a French firm. Aakaar Design also accused Studio sP+a of deliberately undercounting the number of trees that would have to be felled for the museum. The complaints, made to government advisory bodies, the competition’s organisers, senior Army officers and even the Prime Minister’s Office, have jeopardised Studio sP+a’s chance of winning the contract to construct the museum. The Mumbai firm responded by filing a defamation suit, hearings for which started on April 25. The winning design has also run into objections from the Delhi Urban Arts Commission and the Heritage Conservation Committee. These bodies are tasked with preserving the aesthetic appeal and heritage value of public structures in Delhi. Their main argument against the design relates to its alleged incongruity with the location – Princes Park on Copernicus Marg just outside the hexagon of roads surrounding India Gate. The area is rich in heritage buildings that once served as residences for rulers of princely states in British India. The proposed museum will have Baroda House across the road, and Hyderabad House, Jaipur House and Patiala House close by. One of the conditions of the competition was that the new museum must be “harmonious” with the style of these structures. DS Basera, director of the National War Memorial and Museum, declined to provide detailed responses to questions emailed to him about the delay in commissioning the project. 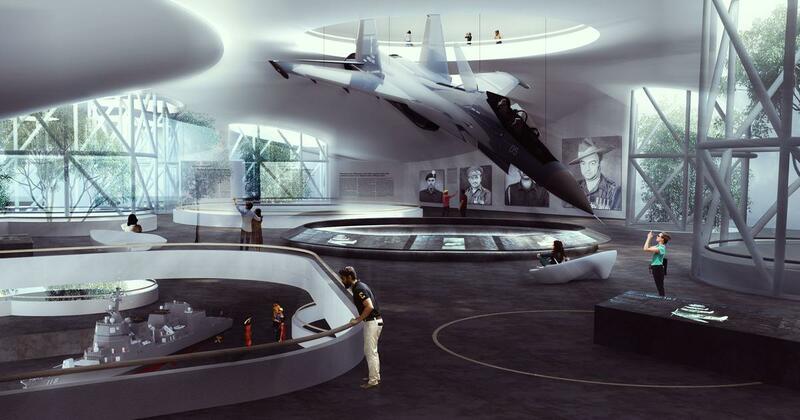 “All issues pertaining to the National War Museum design are currently under review by an empowered committee” of the defence ministry, he said. The Delhi Urban Arts Commission and the Heritage Conservation Committee also failed to respond to questions emailed to them. The arts commission took note of Aakaar Design’s complaint of April 21, 2017 at its August 30 meeting, the minutes of which are public, but decided it had “no role in evaluating the design competition entries”. The firm’s complaints were not mentioned again in the meetings of either body. Studio sP+a has argued in its defamation suit that Aakaar Design’s complaints “have directly contributed to the inordinate delay in executing the contract for design and consequently the beginning of construction work on the National War Museum”. Aakar Design’s director, Gurpreet Singh, agreed that was the case but said it was for the better. “Our complaint would have drawn focus to the shortcomings of the first [design],” he said. He added that his firm has participated in many competitions and lost a few, but never complained about another contestant before. Singh claimed that he had been confident of winning the competition after the final seven entries were exhibited on December 29, 2016. It was the first time each contestant saw the competing plans. To protect trees at the site, Studio sP+a has designed a structure that touches the ground at just 11 points, said Sameep Padora. Wide arches between these points lift the building off the ground, leaving open spaces underneath. From the top, it resembles a slice of Swiss cheese with cutouts for trees to grow through. It also allow for replanting 28 of the 406 trees on the site, the firm claims. Aakar Design’s scheme involves propping up most of the gallery spaces with a system of walls and supports built over existing structures. Sections of the galleries will be prefabricated and installed like Bailey bridges, each suspended between two walls. An exhibition hall and an auditorium mark the ends of this assemblage of walls and galleries, and these are the only sections that require felling some trees. After examining the competing designs at the exhibition, Singh was convinced that his firm’s scheme “was number one by a wide margin”. He claimed his team spotted the alleged gaps in Studio sP+a’s design that day itself but chose to stay silent. “We thought the jury would be able to see through this,” he explained. Aakaar Design not only claimed that Studio sP+a’s scheme was faulty but also alleged that it was plagiarised from the Rolex Learning Centre in Lausanne, Switzerland, designed by a Japanese firm. Aakaar Design also alleged that the Mumbai firm had “misrepresented the right size and scale” of trees in its models and images and altered street alignments. 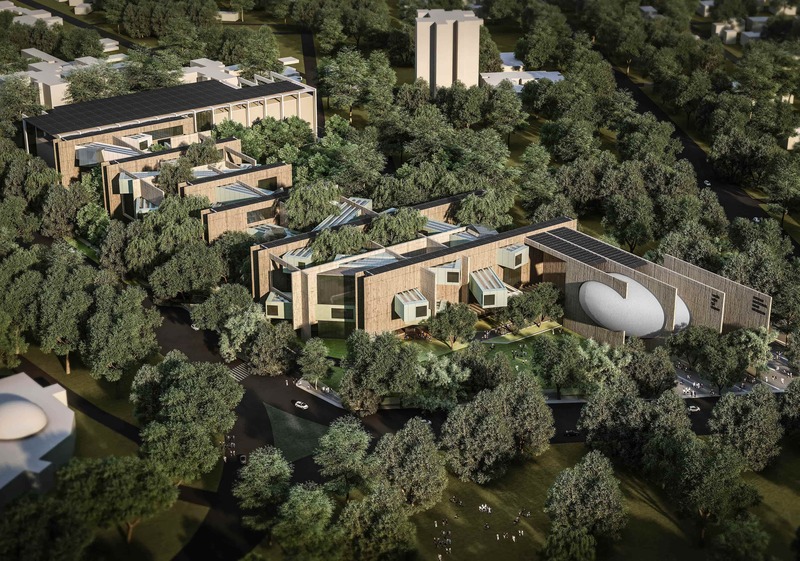 By the Gurgaon firm’s estimate, the Studio sP+a design would result in the loss of at least 265 trees, either because the building would be in the way or they would be damaged during construction. Padora responded to Aakaar Design’s complaints on May 25, 2017. He wrote to the organisers of the competition that the allegation of plagiarism “is like saying that the Lotus Temple, Delhi, is a copy of the Sydney Opera House because both use funicular shells”. As for the loss of trees, he claimed his firm had accounted for the environment data provided in the competition brief, “ascertained the diameters of the tree foliage from Google Earth images”. He also furnished pictures of other designs which he alleged showed more trees on the ground than the plans allowed. On June 1, Aakar Design made another complaint, this time to the Prime Minister’s Office, accusing Studio sP+a of copying its design from French firm Series et Series’ proposed plan for the Taichung City Cultural Centre in Taiwan. Padora sent his plans to Series et Series and they wrote back on August 11: “Our team took a look at your project and though it shares some of the same architectural language as our Taichung entry, we do not believe they are very similar at all.” Padora forwarded the response to the jury and the organisers. Following this, one of Aakar Design’s partners complained to Series et Series. In response, the French firm sent it a string of laughter emojis. In July, four months after the winners had been announced, Basera asked the seven finalists to submit undertakings certifying that their schemes were original and listing all the designs they had drawn inspiration from. Basera’s email explained that this was necessary because the jury had found that some entries bore “striking similarities” to other structures. But the jury, comprising 10 architects, designers and professionals from other fields, had not met to discuss the complaints against the winning design. “There are always parts of a building that could be common,” said a member of the jury who asked not to be identified because they had signed a confidentiality agreement. “In this case, it was examined and it was decided there was nothing like [plagiarism].” Padora had also argued that the Rolex Learning Centre was too well-known for a jury to fail to spot a copy of it. Asked about this allegation, Singh said a relative “who is Palekar’s neighbour may have said something on his own”. 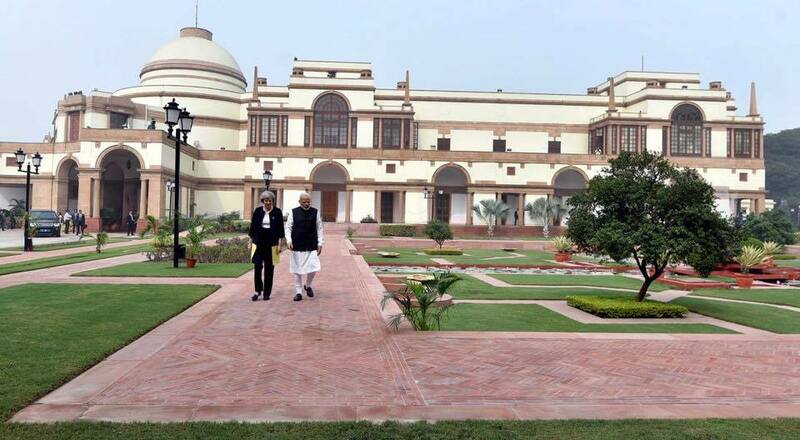 Singh had sought a meeting with Palekar in April 2017, but that did not take place. On August 16, Basera informed the finalists and the jury that the “entire case is being referred to an empowered committee for progressing [sic] it”. The same month, Basera started seeking the views of government advisory bodies, first on the winning entry and later on the top three designs. The Delhi Urban Arts Commission and the Heritage Conservation Committee objected to the winning design. The Central Vista Committee, which is in charge of maintaining the skyline along Rajpath, shot down the other two designs as well. Records of their meetings suggest that project coordinators struggled to get the procedural matters right, and the designs went back and forth between them and the government bodies several times over the past year. Substantive discussions on Studio sP+a’s design took place at the Heritage Conservation Committee on October 12, 2017, and at the Delhi Urban Arts Commission on October 18. The heritage committee felt that “the heritage elements/materials, or the historic form which relates to the heritage of Central Vista is not reflected in the present proposal”. It also said “the overall architectural scale, design, colour of the building block as proposed in the design shown to the HCC also does not conform to the historical and architectural surroundings”. It clarified, however, that it was judging “in the absence of detailed drawings and merely on the basis of a presentation and block model”. The committee also concluded that the Mumbai firm’s claim that 378 of 406 trees would be preserved “is an unrealistic/unverified figure, keeping in view actual conditions at site and proposal for construction of two basements”. The Delhi Urban Arts Commission, taking the heritage committee’s views into consideration, ruled that the plan “does not conform to the architectural surroundings of the area”. On the protection of trees, the juror said they merely trusted the claims made by the designer. The member of the Council of Architecture argued that if the winning designer is not given the contract for the building, the runner-up does not automatically get it. Not that Aakar Design’s plan and the third-placed entry called “The Garden of Existence” have been faring any better with the government bodies. The competition’s organisers have sent the plans to the Heritage Conservation Committee several times since November 2017, together and separately, but the committee has refrained from making any suggestions about them. The Central Vista Committee has rejected both designs outright. On February 26 this year, it concluded that Aakar Design’s entry “does not match with the grandeur and style of Central Vista”. It arrived at much the same conclusion about the third plan on April 9, saying it “is not in consonance with the grandeur and style of Central Vista”. It is uncommon internationally, but India has seen several instances of designs not adjudged the best securing the contract, the Council of Architecture member pointed out. “It happened in the case of the Indira Gandhi Indoor Stadium in Delhi, for instance,” he said. This could just be the first instance of a designer filing a defamation case against a competitor though, he said. The next hearing of the case is in September.